A paper planner can house your meetings, phone numbers, and to-do lists. 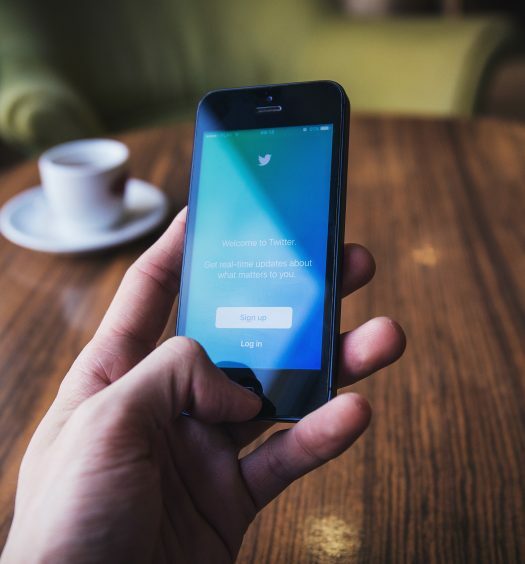 While many default to using their smartphone to keep track of information, this method is limited and you’ll likely have to use multiple apps. A day planner organizer is beneficial because writing information down by hand helps you commit it to memory. Plus, you can’t run out of battery when you’re using a paper book for recording your tasks. Using a day planner has many benefits like improved time management, better productivity, and a permanent record of your work. Whether you want to keep track of your goals on a daily, weekly, or monthly basis, a good planner for real estate agents will give you plenty of space to do so. While some planners will focus mostly on daily, weekly, or monthly goal tracking, some will include sections for each. You should choose according to your own preferences and schedule. With any business planner, recap or summary sections are essential for reviewing how well you did with your goals during a given time period. Being able to look back over this information can help you both feel accomplished and set appropriate goals for the future. With a good paper planner, you’ll have sections for recording your financial goals, marketing information, and sales. Some day planners for real estate agents also include room to record lead generation techniques and track what works for finding quality leads in your field. In a good day planner for real estate agents, the book should flow and have a pleasing structure. Your organizer should be a tool you enjoy using since this will make you more likely to stick with faithfully using it. Find a planner with a simple, intuitive design that you’ll be excited to write in. Below, we’ll cover our five favorite day planners for real estate agents. They’ll help you track daily, weekly, and monthly goals. 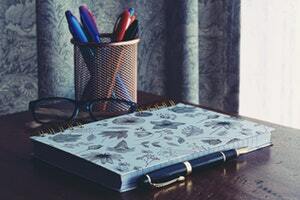 These planners come in a range of prices and there’s a suitable choice for every budget. 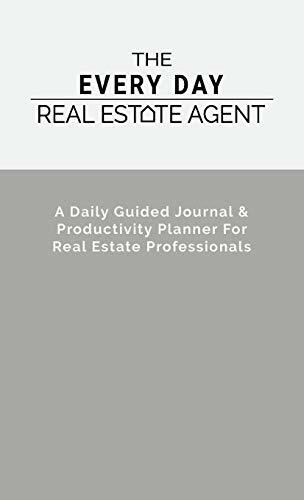 The Every Day Real Estate Agent Planner is a productivity planner and self-improvement journal. It uses organization plus daily habits to help you improve in your field. By dedicating to writing just a few minutes a day in this planner, you can track your business practices and stay on top of what works for you. Complete with exercises and daily prompts, The Every Day Real Estate Agent can help you increase your sales, be more productive, think more creatively, and focus on your goals. This planner is formatted with a 13-week structured routine of positivity. Weekly challenges will encourage you to grow as a real estate agent while daily goals will help you enhance your creativity. The Every Say Real Estate Agent has more than 100 quotes from top minds to keep you inspired and motivated as you go about your day and week. 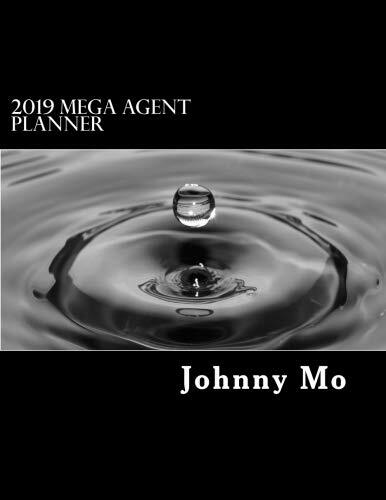 The 2019 Mega Agent Planner is a goal-planning, training planner for mortgage professionals and real estate agents. It has goal setting guides, weekly and monthly recaps, and calendar pages for each day. It also includes pages to track lead contacts for your business. If you need some help staying accountable with your professional goals, this planner may help. One major benefit of this planner is the ability to audit your goals on a daily, weekly, and monthly basis. You can then adjust your business plan according to how well you did previously. One potential downside of The 2019 Mega Agent Planner is that it doesn’t have a section for planning social media posts, so keep that in mind. 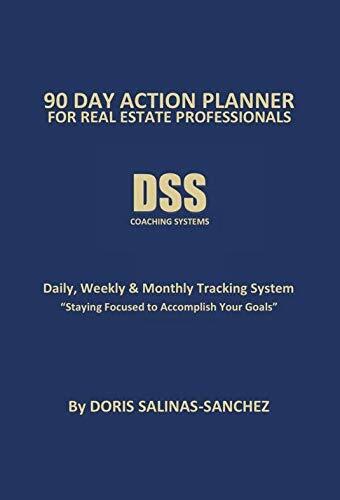 The 90-Day Action Planner for Real Estate Professionals was formulated to help you accomplish goals. It also helps you stay focused on income-generation and you can start using it any day, week, or month. The 90-Day Action Planner for Real Estate Professionals enables you to fill in data and dates as you see fit. It helps you track financial and professional goals including Leads and Closings, Average Sales Prices, and Expenses and Savings. With this planner, you can identify and improve your conversion rate as you work. The 90-Day Action Planner for Real Estate Professionals enables you to calculate your leads and closings to get better at reaching your income goals. There’s also a Special Events Calendar for tracking events and notes and a monthly summary section to help you reflect on how you did over the course of the month. One potential downside is that it’s fairly expensive compared to other planners. The Essential Daily Planner for Real Estate Agents is an accountability tool and business coach in one planner. 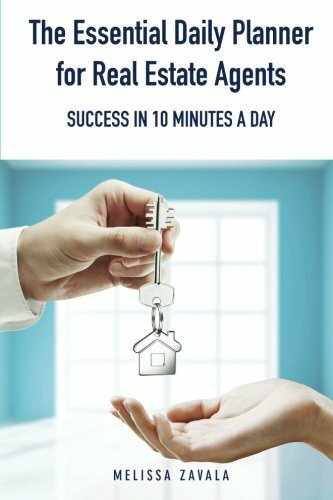 This book can help you stay organized and improve your real estate career by writing in it for just 10 minutes a day. The organizer is easy to use and has six months-worth of usable space to record daily achievements and activities. In The Essential Daily Planner for Real Estate Agents, the daily log helps you set sales and marketing goals, make personal notations, and keep important appointments. It also has daily motivators for extra direction and inspiration while you work. This planner is a good tool for beginner and experienced real estate agents. It helps you find motivation, analyze daily and weekly patterns, and record what you accomplish. The 2019 Beyond Routine Daily Real Estate Planner helps you structure your day according to your most important priorities. Keep track of your lead generation and find out how to generate qualified and consistent leads. With this planner, you can set goals, make plans, and take the necessary actions to achieve them. 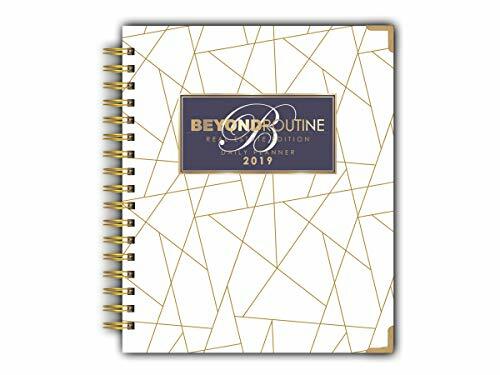 The 2019 Beyond Routine Daily Real Estate Planner has task lists, a financial goal calculator, a weekly tracker, and a monthly expense and advertising organization system. You’ll also find sections for daily gratitude, to-do lists, and even a fitness section. The planner is expensive compared to other similar products, so keep that in mind. As you can see, tracking your goals and achievements as a real estate agent is crucial for success in your field. Add a day planner to your routine and you’ll have a physical reminder to keep you on track with your professional (and even personal) goals.